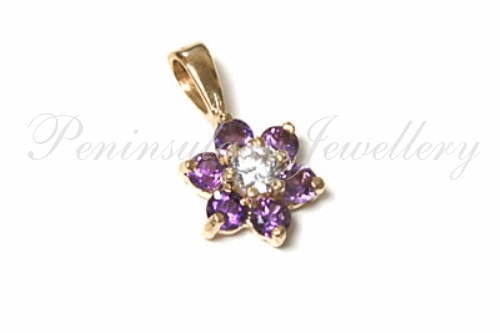 Classic Pendant featuring one 2.5mm round cut Cubic Zirconia in the centre, surrounded by six 1.5mm Amethysts set in 9ct gold. Dimensions: 7mm diameter cluster, 13mm long including fixed bail. Marked 375. Made in England. 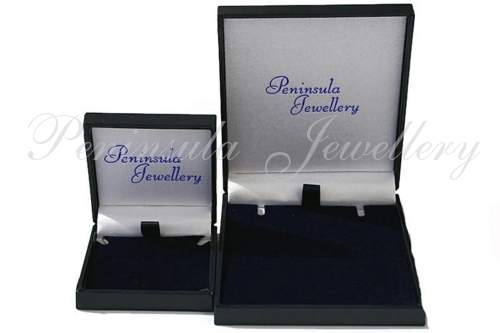 Presented in a luxury gift box.